Woodward Canyon Winery was established in 1981 by Rick Small and his wife, Darcey Fugman-Small. The winery was named for the canyon where Rick's family farmed for multiple generations and where the Woodward Canyon Estate Vineyard is now located. Woodward Canyon was the second winery in the Walla Walla Valley, and the Smalls were instrumental in the process of obtaining federal approval of the Walla Walla Valley Appellation in 1984. The winery has consistently produced premium, age-worthy cabernet sauvignons, Bordeaux-style blends and merlots as well as chardonnays. From the outset, it was determined that quality would take precedence over quantity. The family’s roots run deep in the land that they have farmed for four generations. 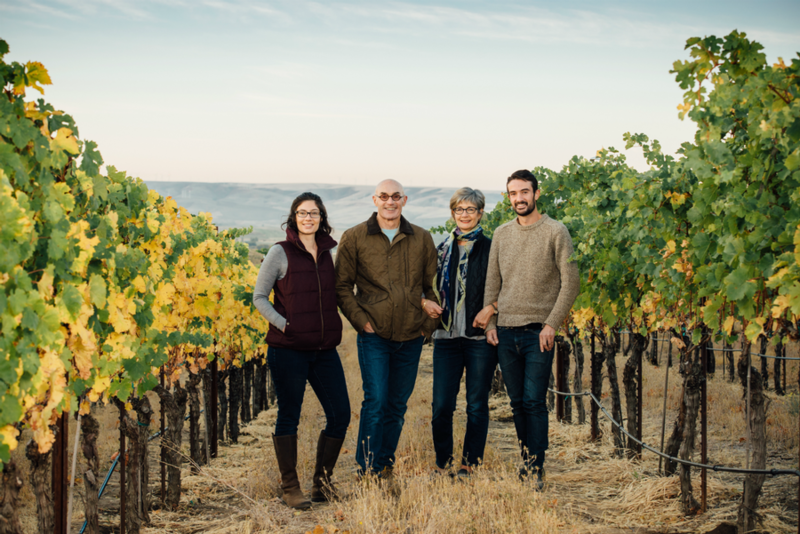 Rick and Darcey’s children, Jordan and Sager, share in the ownership of Woodward Canyon and are transitioning into leadership roles in the winery and vineyard as their parents step back from the day to day operations. Winemaker Kevin Mott was made a partner in 2011 as well. Rick planted the first of forty-one acres of the Woodward Canyon Estate Vineyard in 1976 on his family’s dryland wheat ranch. The hillside vineyard now includes cabernet sauvignon, merlot, cabernet franc, sauvignon blanc and chardonnay as well as several experimental Italian and Rhone varieties. The Estate Vineyard is Certified Salmon Safe. The Smalls are also experimenting with organic and bio-dynamic farming practice. The winery purchases grapes from select growers and is a partner in Champoux Vineyard which lies above the Columbia River in the Horse Heaven Hills appellation. Woodward Canyon has a strong belief that the quality of the wine starts in the vineyards; grape-growing and winemaking after all, are still agriculture.